I never used to read biographies or autobiographies earlier. I used to find them pretty uninspiring & most of the time unconvincing for some reason. It was only in college that I started to read famous biographies official & unofficial as well as autobiographies. 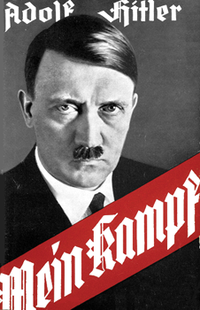 The first autobiography I read was ‘Mein Kampf’ by Adolf Hitler which nauseated me beyond comprehension. However, the historical detail of the whole narrative interested me & therefore I took it upon myself to read a few more biographies & autobiographies for this purpose. The next book I came across was ‘Goodbye Shahzadi’ which was a political biography of the late Benazir Bhutto by Shyam Bhatia. She had at that point of time been recently assassinated & so all books based on her life were out in the market. I was most intrigued about the political scenario that led to the assassination of the leader that I purchased the book from Crosswords inspite of my apprehensions towards the genre that I was indulging myself in. Political issues are always a matter of debate, but what I genuinely liked about the book was the personality of the women it spoke about. I almost felt that I was empathising with her to a certain degree. That struck as odd as beyond historical facts, I normally never indulge myself into the emotional aspect of the material at hand….& yet this time, I did. This encouraged me to pick an autobiography of Benazir Bhutto which again I found in the market titles as ‘Daughter Of The East’. I now knew that my interest in biographies was giving me a further understanding not only about history & politics but also about feelings & an insight into personalities that were foreign to my own way of analysing my environment. The complete metamorphosis took place when I was 19 years old & when I read the autobiography of T. Lobsang Rampa which was ‘The Third Eye’. 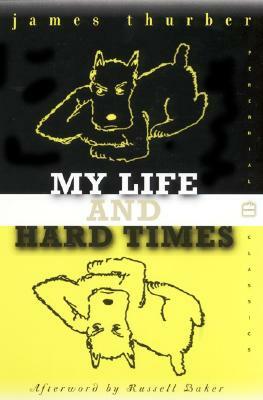 This autobiography transformed my life & my field of study which has had an impact on me till this day. The oriental story of a Lama led me to comprehend history, philosophy as well as literature at the same time. I from that moment forward continued to read biographies till this day. Controversial features also are apparent especially regarding texts that have been penned before our time, yet they are unique in their own way…they tell a story in their own way which fascinates as well as educates. Autobiographies on the other hand are often one sided & more often than not, defensive in nature, but that’s always bound to be. 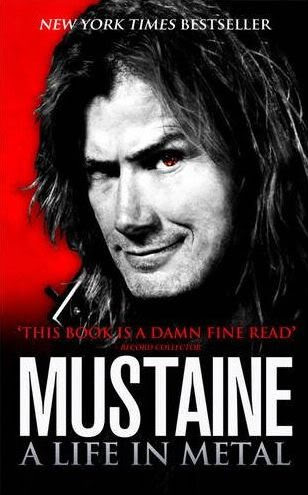 Here however, I want to make special mention of an autobiography I read about one of my favourite guitar players, Dave Mustaine ‘Mustaine A Life In Metal’ which not only was candid but also very humorous. Biographies as the old saying goes, teaches us about the lives of people of the past who have tried & either failed, given up or won. Our parents encourage us to read biographies to be inspired by the personalities spoken about at length. Its good in a way…..it depends on who we have stumbled upon however (I would not let any of my students touch Dave Muscatine’s autobiography even if they gave me a chocolate hamper to do so). I have a theory on this though. I am inclined to believe that biographies educate while autobiographies inspire. 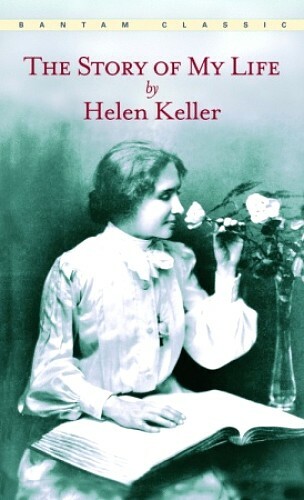 When I read ‘The Story Of My Life’ by Helen Keller, it inspired me to see beyond myself which has had an impact not only on my writings but also on my teaching which is remarkable (I do not easily get carried away by anyone or any event). My students say that I have got the mightiest number of biographies related to the ‘King Of Rock & Roll’….Elvis Presley, yet it is strange that the biography that really told me the truth about the singer was one written by his wife titled ‘Elvis & Me’. That proves that not only is a biography subjective but also the person reading it. I have also known biographies to create ‘monsters’ as well as ‘angels’ (two of my 6th grade students picked a biography to read once. One read ‘Mandela’ by Ann Kramer while the other read ‘Confessions Of An Heiress’ by Paris Hilton which pretty much sums it up doesn’t it). But biographies have been in print (or inked) long before we knew how to write a fast track novel. They have been the stuff our past leaders, painters, artists, scientists etc., have been reading to keep themselves going. Biographies & autobiographies are the way a human tells about humanity….personalized which may not be all that historically true….but its all about the heart of the matter, & I guess one has to take a queue from the stalwarts to really know the meaning of a whole life. So my idea is……to read as many biographies as possible…..to make a difference….to educate……& just to live the life of a person I can never be….or who knows ?